Every once in a while, I have a rough week and need some cheering up. This happened to be one of those weeks as I lost one of my dear friends, so I thought I would share a few things from this week that made me smile and a few oldies that I use when I need to lift my spirits. 1. Charlie Hunnam’s Message for the Sons of Anarchy Comic-Con Panel For some reason, the actor was not able to be at the final Comic-Con panel for the show last weekend, so he sent this message to the fans. 2. Brian Williams Rapping Every single time The Tonight Show makes one of these videos, I pretty much watch it daily for about a week. I adore Brian Williams and they just keep getting better and better. 3. 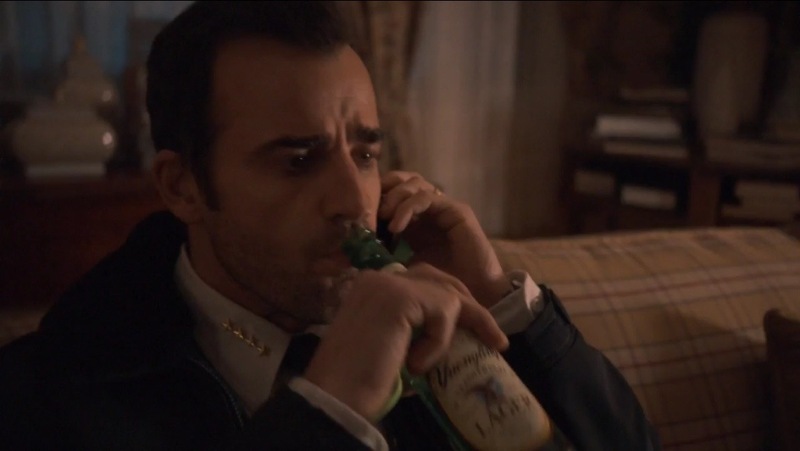 Justin Theroux drank a Yuengling on The Leftovers This probably excited me more than it should have, but that lager made this Philly girl very happy. 4. Enlisted Clips I am still not over the fact that Fox canceled this show and have my fingers crossed that something works out with Yahoo Screen. Aside from randomly watching clips, I also may have watched each episode more than once on Hulu. 5. The Nerd HQ Conversation with the Cast of Orphan Black I am actively trying to convince every single person I know to watch this show. My favorite part about this panel is that you can tell how much the cast loves and respects each other. 6. How I Met Your Mother cast sings Les Miserables Jason Segel and Neil Patrick Harris originally did this on the Megan Mullally Show and then re-enacted it while on Inside the Actor’s Studio during their final season. I laugh every time.